countless combinations of thickness and width with the most restricted tolerances. That’s Armco’s mission: satisfy each customer’s needs with innovative steel-related solutions and services. Armco’s quality management certification assure the technological level and excellence of its processes. Click here for more. To reach its continuos search for excellence, Armco signed a technology agreement with Bilstein, the major and most diversified re-rolled product manufacturer in Europe and one one of the leaders companies in the world. armco has products to meet your needs. just click here. Plantar Project – takes education to the community. Understand how Armco reduces its environmental impact. Armco is concerned with the environment, the society and its employees. Customized logistics? Product development? Online service? Armco offers the most modern services for your company. Armco Group companies have all our technological resources to meet your steel-related demands. Quickness, quality and diversity for steel supply in small and large quantities. This is Armco Vila Nova vocation. 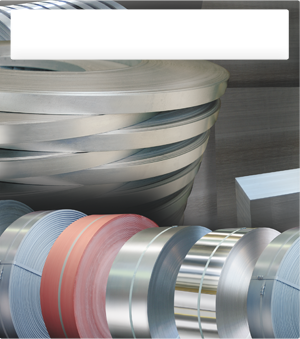 Stripsteel combines technology and tradition to supply national and imported precision steel strips. It has the most diversified inventory in the market. ADB Steel Service Center provides the following services: pickling, Longitudinal and Transversal Cutting. Aços da Amazônia is a plant that supplies directly to the one of the most important industrial centers in Brazil. Does your company need a modern industrial packaging system? Just know Intacta and its services.